Search Results: 10 results in 0.0055 seconds. Selecting the right valve spring could make a big difference in your engine's performance. 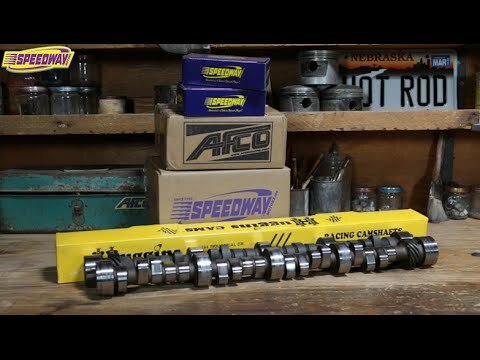 Jeff Smith gives some great information for making use of modern camshaft technology in your big-block! In acting, timing is everything. The same could be said for performance engines. What About the Valve Springs? IÂ bought a cam for a 1960s race engine. This made it necessary to find some valve springs that would be within the specifications required by this NOS vintage race cam. Youâ€™ve bought a new flat tappet camshaft and lifters. Now you need to spend some time breaking in all those cool new parts. C5rider started a topic Choosing which cam is right for YOUR car! Choosing which cam is right for YOUR car! Another great thread of information when it comes to picking a bumpstick. Picking the right camshaft for your hot rod can be pretty confusing.